For giving up another Sunday morning to help at the HarborWalk. I am so thankful for your continued help, especially this spring with our daughter’s upcoming wedding. You are doing a tremendous job. I just can’t express how greatly appreciated is your time, energy, hard work, and thoughtfulness. Thank you also to Lise Breen, Amy Kerr, Leslie Heffron, and Beth Chiancola for your help many Sunday mornings this spring. Through working on the HarborWalk I have met some of the nicest and most kind hearted people one could ever hope to meet. If you would like to lend a hand and come work with the amazing Friends of the HarborWalk, email me at kimsmithdesigns@hotmail.com. Today we planted patches of butterfly, bee, and songbird attracting annuals. 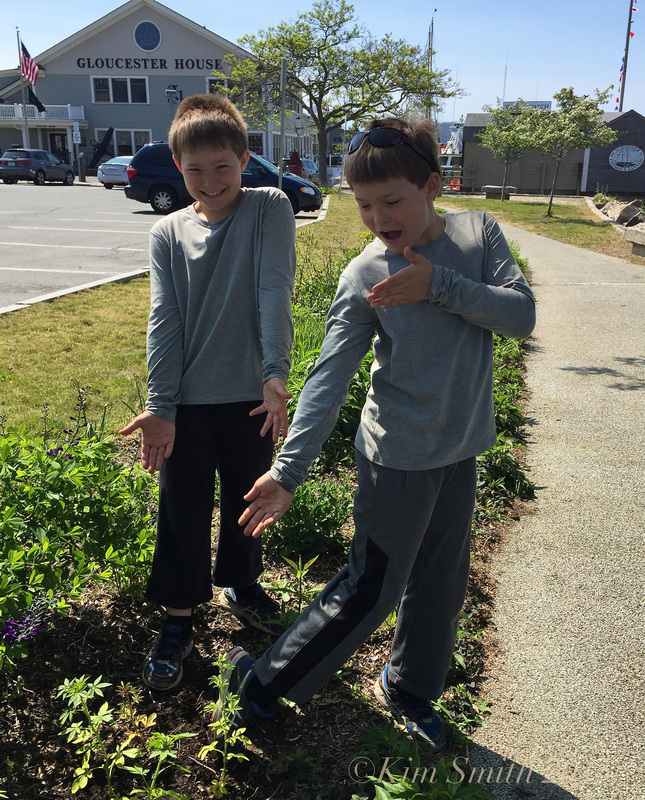 I am so proud of the job George and Charles accomplished–64 plants all on their own! This entry was posted in Gloucester, Home and Garden, Lepidoptera ~ Butterflies, Skippers, and Moths, Native Plants, Wildflowers and tagged Butterfly Gardens Gloucester HarborWalk, Catherine Ryan, Charles and George, Gloucester HarborWalk, Lynn Bird on June 7, 2015 by Kim Smith.